The only journey is the one from within. Welcome to the Drjasonlee.com website, our clinic is located in Oakville. My emphasis is to teach and empower patients so they can restore their body naturally through healthy living. In the clinic I do not focus heavily on the treatment of specific symptoms. Instead, I focus mainly on people. It is important to treat the cause of the condition rather than the symptom itself. My philosophy is to treat every patient as a unique individual in order to design a treatment plan that will be most suited to their needs. My goal is to educate patients on preventative medicine and to treat the underlying disturbance within the body and not the symptom itself. I am committed to providing natural health care in conjunction with your other health care providers to help you reach your health potential. Thanks for visiting and I wish you all the best in your journey towards optimum health. The best predictor of future health is to create it today. Jason Lee is a Naturopathic Doctor and keynote speaker at community and academic seminars around the world. If you have questions regarding Naturopathic Medicine please check this section for answers to many questions. 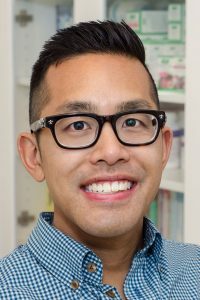 Jason Lee is a Naturopathic Doctor, teacher and keynote speaker at community, corporate and academic seminars. He is currently a lecturer for the Functional Medicine Clinical Series, educating health professionals on the latest research in natural medicine.